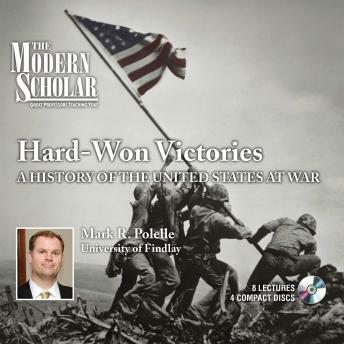 This course explores the role that war has played in shaping the United States of America. The lectures begin with the American Revolution and an examination of how America was born in war. The discussion continues with the “forgotten” War of 1812 and then turns to the Mexican–American War and the Spanish–American War. Subsequent lectures then illustrate America’s role in helping to end the “War to End All Wars” before the course concludes with World War II, the Cold War, and the troubling legacy of Vietnam.